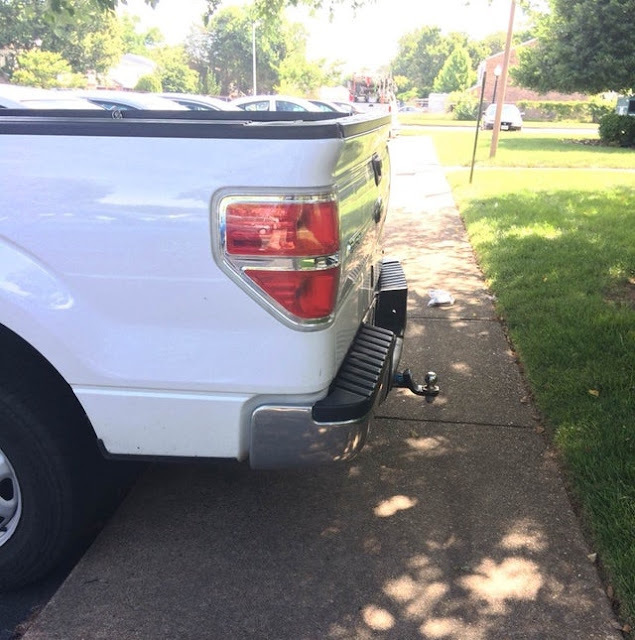 Illegal in many states and localities (the parking, not the hitch per se), as discussed at the MildlyInfuriating subreddit. I have walked into one of those. At night. It was a little higher off the ground, though, because of no raised sidewalk. Got me exactly on the kneecap. Like many things in our culture, this should be a matter of common sense and common courtesy, neither one of which is at all common any longer.